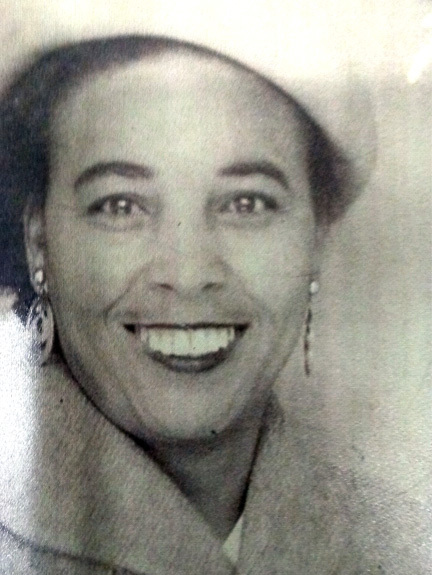 Zenobia Harriet Kelly was born on May 17, 1924 in Boley, Oklahoma to parents Malinda and William Summers. She was the third child born into a family of five. Mrs. Kelly was embraced and preceded in death by her siblings, brothers; Cornelius Summers and Wallace Summers; sisters Onita Cunningham, Christina Summers, and Audrey Evans; son Joshua Randles, Jr., prior spouses Joshua Randles, Sr. and husband LM Kelly. Mrs. Kelly leaves her loving memories to be cherished by daughters; Linda Batson and Zelma Dockery; grandchildren Joseph Batson (Che-lees), DeBorah Andrews, Jennifer Batson, Van Dockery (Jeanette), Veronica Robinson Dockery, James Randles (Marcy), Rebecca Randles, Tiffany Randles, Tyesha Woods, and Caress Jackson. Mrs. Kelly is also survived by twenty-one great-grandchildren and four great-great-grandchildren. Others left to mourn her loss, include; nieces Althea Evans and Maurine (Harold) Mathews; nephews Maurice Evans, Jr. (Marilyn) and Duane Evans (Mona) and many, many loved ones and family friends, along with her Union Baptist Church family and Pastors James P. Crittenden and George Martin. Some called her "Mama", "Grandmother", "Granny", "Aunt Nobie", or “Z”, but her name was Zenobia Harriet Kelly. She was a daughter, sister, wife, mother, grandmother, great-grandmother, great-great-grandmother, aunt, friend, and confidant. A strong proud woman of God, a good and faithful servant. She was a tall exotic graceful beauty, eloquently spoken, a baker, (retired from Yuma High School), an Eastern Star and church mother having served Union Baptist Church since 1941. Zenobia Harriet Kelly is remembered for her expertise in baking and cooking of wonderful dishes (her lemon meringue pie with sky high meringue), entertaining, a social butterfly, traveler, and an accomplished seamstress, and especially her love for her family. Mrs. Kelly's body will be laid to rest, but the spirit of her love will be carried in the hearts of those lives she touched and our memory of her will live forever.